Whitehall Inn is a recently refurbished hotel in the charming seaside town of Camden. With a history dating back to 1834, this building has always been a popular retreat for luxury summer stays. For a real home from home experience settle yourself into the bright rooms, before spending the night chatting to fellow guests on the porch. Just ten minutes to the center of Camden and you can delve into the world class restaurants, bookstores and boutique stores that make up this friendly neighborhood. There’s no need for a car because the journey between the hotel and town center provides stunning countryside views. 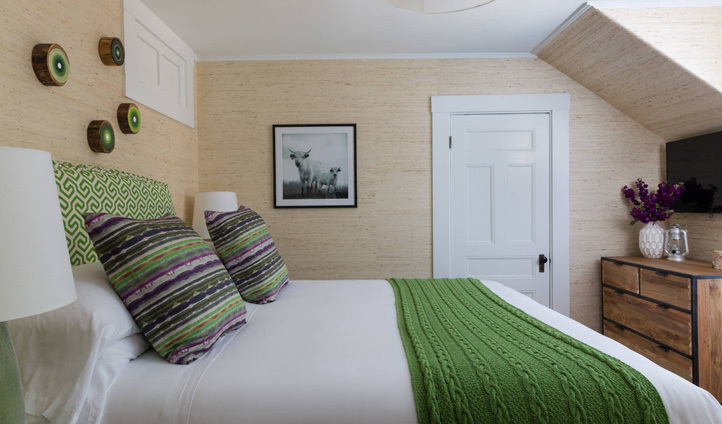 Each room offers the perfect blend of old and new with bold designs and additional vintage touches. The particularly eye catching Lark Suite boasts vibrant colors and a unique lounge decorated with artistic patterns and accessories. 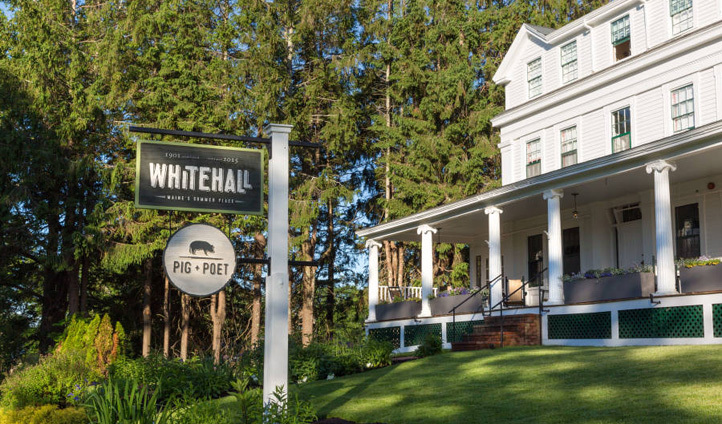 You won’t need to worry about journeying far for dinner because this hotel is home of the Pig + Poet Restaurant. Here Chef Sam Talbot cooks up traditional American cuisine with a distinctive New England flair. Everything on the menu is sourced from the locals so you can experience oysters and mussels straight from the nearby sea.